The Viceroy Hotel Group announced that it will unveil Viceroy Dubai Palm Jumeirah in 2017. The group’s first resort in Dubai, and only its second in the United Arab Emirates, will be the fifteenth addition to Viceroy’s prestigious portfolio of established and upcoming properties. World-renowned interior designer Yabu Pushelberg and Tokyo-based design firm NAO Taniyama and Associates will no doubt take advantage of the hotel’s beachfront location to maximize Arabian Gulf views for the 481 spacious guest rooms and suites, as well as 221 signature Viceroy Residences. Additional features will include dining venues helmed by world-class chefs, sumptuous spa, beach club and 100-meter-long pool. 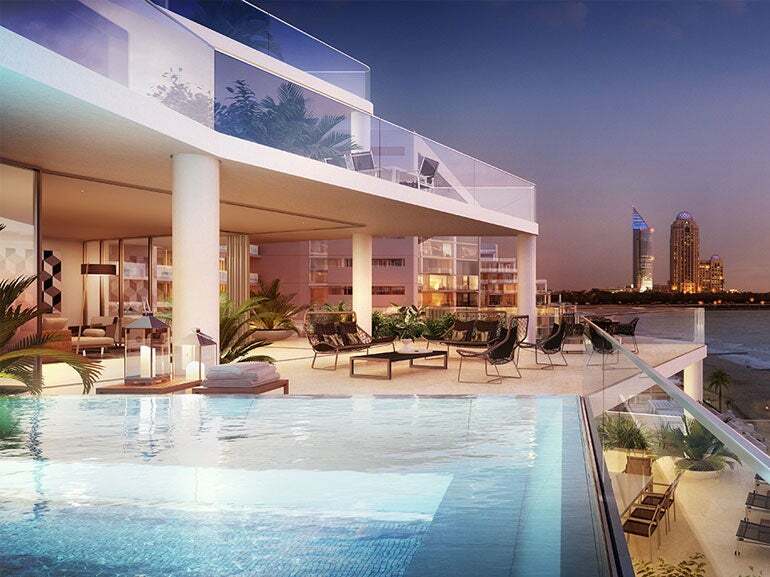 Situated at the base trunk of The Palm Jumeirah, the $1 billion property will be only 15 minutes from downtown Dubai.